Taken on a dog walk. We bush wacked through an overgrown field and found a intermittent stream bed with these interesting ferns growing. Taken with the GX100. There were some neat black water pools that I may go back and try to capture, but I will remember to take my tripod and some mosquito repellent! 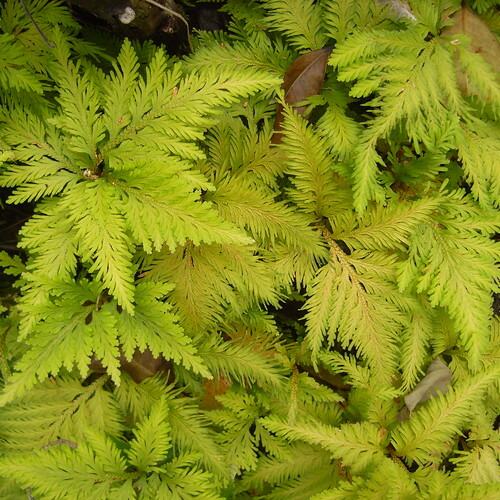 Eric, these ferns are delicate looking and a lovely shade of yellowish-green. Very nice find! Thanks, Earl. I believe it was the color that caught my eye as well, at first.